Focused on the Phytochemical saponin in the Carica Papaya Leaf, researchers tested the effect of papaya leaf tea as a 20:1 ratio of leaf to water brewed 25 minutes at 85 degrees C (185 F). The tea showed effect against cell lines with pancreatic cancer. Based on its unique natural phenols and phytochemicals, the papaya leaf stands out in Nature. Even as compared to Green Tea and its powdered form, (matcha or maccha), papaya leaf tea could be the new “matcha” in powdered form. Green Tea boasts the natural phenol, catechin, (EGCG), which is shown to be effective in neutralizing free radicals. Matcha is generally considered for its super cancer-fighting in Japan due to this intense level of catechins. The availability of more catechins to your body with Matcha is based on the fact that this style of green tea preparation provides at least four times the effect of regular green tea brew because your body can absorb the whole leaf. Papaya leaf contains a phenolic content higher than any other part of the papaya plant. According to the Memorial-Sloan Cancer Center website, the phenolic compounds in the papaya leaf include: Dimethoxycoumarin, protocatechuic acid, p-coumaric acid, caffeic acid, chlorogenic acid, kaempferol and quercetin. The cancer-fighting phytochemicals in the papaya leaf are gaining in reputation as compared to green tea. Papaya leaf has the complete set of cancer-fighting phytochemicals. This invites us to consider not only its culinary appeal in powdered form, but also the increase in cancer fighting benefits of papaya leaf prepared as a Matcha. The thinking behind the Matcha form of green tea is that the whole leaf can be ingested, increasing its potency in your body. Papaya leaf powder is available from most major herbal wholesalers. The Julia Ruffin Project researches, promotes, and grows papaya leaf tea. The enzyme in papaya leaves, papain, is a proteolytic enzyme that also seems to show a similar effect on tumors, as in this animal study below. Papain is a more potent proteolytic enzyme than our body’s trypsin. Inhibition of tumor growth, invasion and metastasis in papain-immunized mice. Bellelli A, Mattioni M, Rusconi V, Sezzi ML, Bellelli L.
The International Journal of Food Science and Technology published a study in July that claims the best anti-cancer temperature of Papaya Leaf Tea is 85C (185 degrees F) and cooked for 25 minutes with a water to leaf ratio of 20:1. 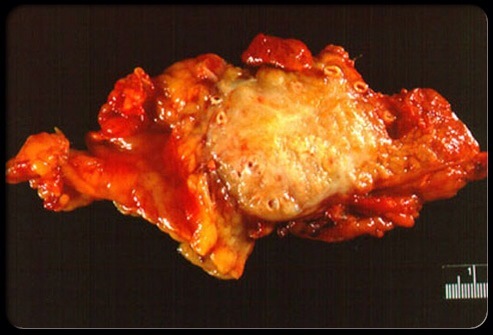 The specific cancer under study was pancreatic cancer. 1Department of Pharmacology, Rayat Institute of Pharmacy, Railmajra, Punjab, India.